(Window on Eurasia – Goble) Two decisions of the Moscow Patriarchate this week and a suggestion by an Orthodox leader that Russia’s Muslims should copy what the Orthodox Church has done underscore the extent to which Vladimir Putin’s ideas about what he calls “the power vertical” have now been extended into religious life in the Russian Federation. 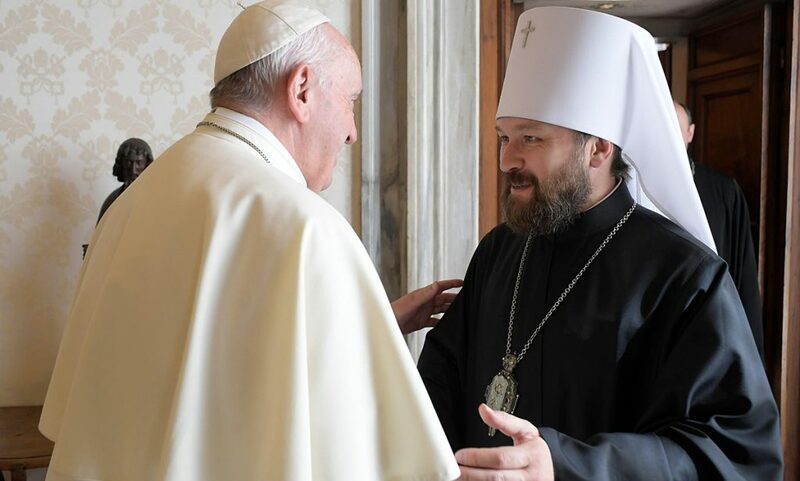 At a meeting this week, the Synod of the Moscow Patriarchate made two major decisions. 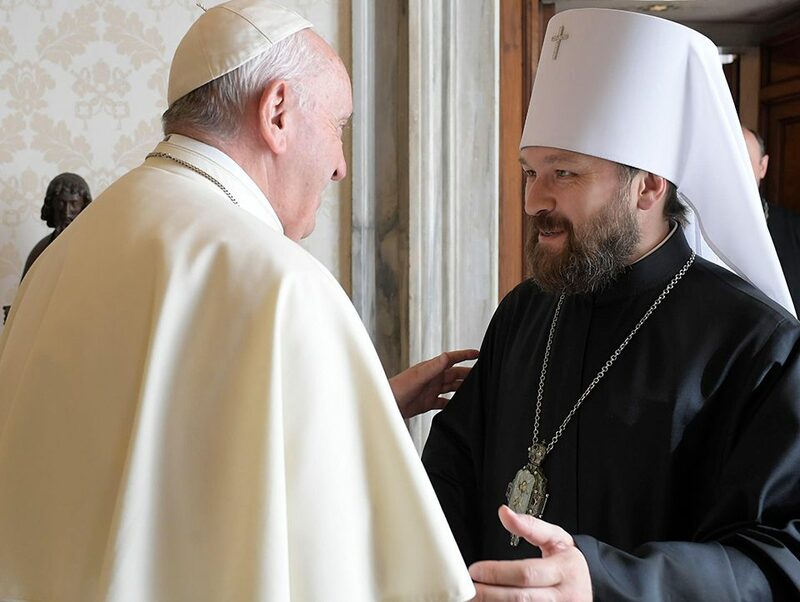 First, it stripped Diomid of his status as a bishop of the Russian Orthodox Church after the former head of the Chukotka diocese refused to withdraw his criticisms of the Church hierarchy for failing to call a meeting of hierarchs and the laity to decide on key policies. The Synod, which was chaired by Patriarch Aleksii II, also refused to agree to the transfer of Orthodox parishes in Abkhazia and South Ossetia from the jurisdiction of the autocephalous Georgian Orthodox Church to that of the Russian Orthodox Church of the Moscow Patriarchate. And in comments afterwards, Deacon Andrei Kurayev, an influential if outspoken Church theologian and commentator, suggested that the Synod’s tough action against Diomid and his supporters, some of whom also lost their posts, should provide a model for Russia’s Muslim leaders in coping with dissidents in their midst. If the first action had become inevitable after Diomid indicated that he would not withdraw his criticism of the hierarchy and the second had been signaled by Church officials a month ago, the third was somewhat unexpected. But all three are certain to shape religious life in Russia and the relationship between the major faiths and the state there in the future. 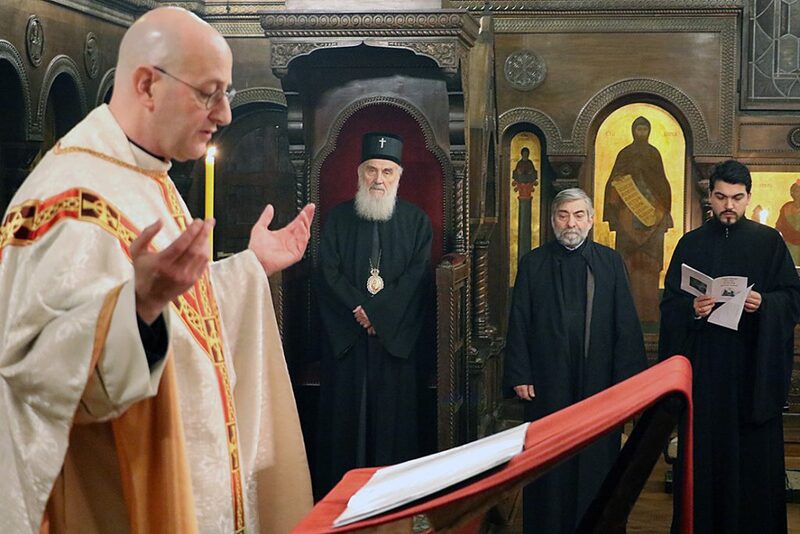 Last summer, the Church hierarchy took Diomid’s see away from him and warned him that there would be more serious consequences if he did not retract his criticism of the Patriarchate, stop his efforts to mobilize the faithful against the leadership on specific issues, end his calls for a more open and democratic form of church governance. Diomid’s opponents in the hierarchy pointed to some of Diomid’s more radical views, including his opposition to ecumenism, to justify their moves against him, but both these views and his call for the church to follow its own rules to give the clergy and the laity greater influence relative to the hierarchy have attracted a large following. 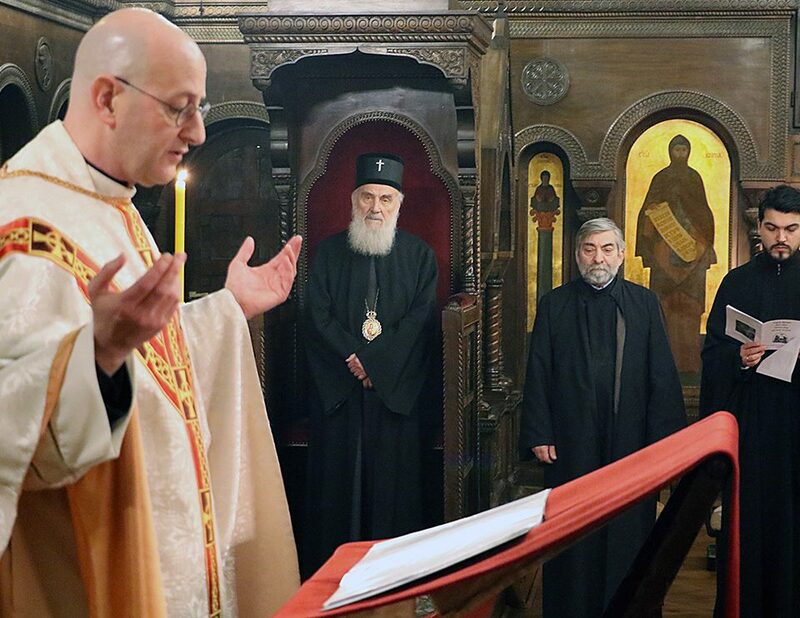 When Diomid did not withdraw – and he did not even show up at the synod despite being invited – the Patriarchate came down hard not only against him but against some of his supporters, actions that some commentators believe also violate church law. But now his successor is seeking to have him indicted by the state for misuse of church property. Diomid remains unbowed. He has declared Aleksii II and other hierarchs anathema, and it is likely that he will now be the leader of a new sect, one with followers across the country who will be kept together by the Internet, something the now former bishop has used more skillfully than perhaps any other Russian Orthodox leader. The Synod’s section action – its refusal to take under its wing Orthodox believers in Abkhazia and South Ossetia – has struck some Moscow commentators as putting the Church at odds with the Russian government on the status of the two breakaway republics. But in fact, as more thoughtful observers, have noted, the Church’s action is consistent with Kremlin interests. Historically, the Moscow Patriarchate has argued that canonical borders need not follow political ones, a view that it has held even more tightly to in the period since the collapse of the Soviet Union because that position allows it to continue to exercise control over thousands of parishes and hundreds of bishoprics in the post-Soviet states. The Russian government has backed the Church in this, seeing the Patriarchate as its ally. That is especially true with regard to the religious situation in Ukraine. Were canonical borders to follow political ones there, the Moscow Patriarchate would lose almost half of its parishes and cease to be the largest Orthodox Church in the world. Consequently, Aleksii II and his fellow hierarchs were not interested in compromising their position in Ukraine to pick up a few parishes in Abkhazia and South Ossetia, especially because any move there by Moscow would lead Universal Patriarch Bartholemew, who is based in Istanbul, to become more active in countering the Russian church in the former Soviet space. But the third development is likely to have the greatest consequences, even though it is the least “official” so far. In an interview published in yesterday’s “Rossiiskaya gazeta,” Deacon Kurayev argued that now that the Patriarchate had shown how to deal with dissidents, Russia’s Muslim leaders should follow suit. “I would like to turn attention of our Muslim brothers to the courageous decision of the Council and the Synod” against Diomid and his sectarians. “And to express the hope that they too will get involved in ‘sanitizing’ their own clergy. They also have more than enough of their own ‘Diomids'” who ought to be disciplined. 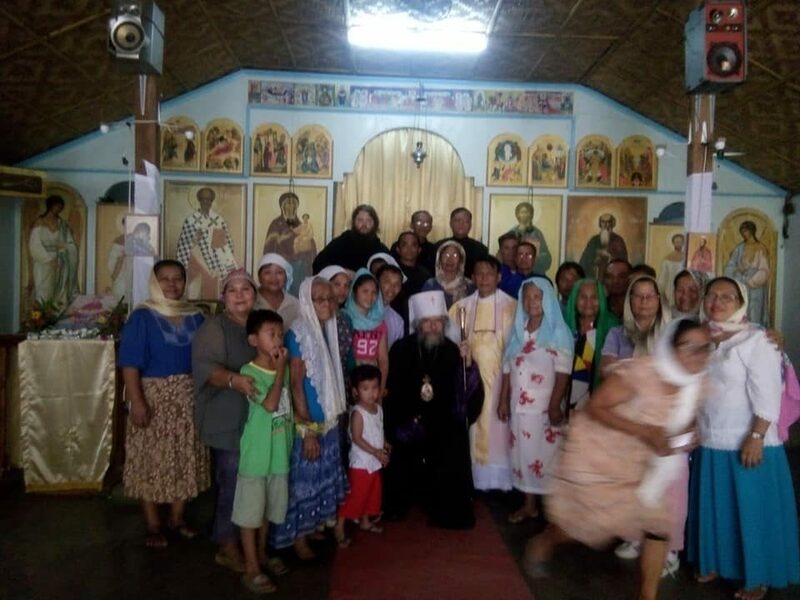 “Thank God, our Church has shown sufficient firmness and good sense,” Deacon Kurayev said, in dealing “with its own ‘Wahhabis,’ especially since by acting in this way, the Patriarchate has guaranteed that the number of people who will follow Diomid into sectarianism will be small. Whether that is the case, of course, remains far from clear, but if the Kremlin pressures Muslim leaders to take similar actions against Islamic dissidents in their midst, that will certainly create problems. On the one hand, it will challenge the vastly more decentralized and democratic arrangements within Russia’s Islamic community. And on the other, in contrast to what is taking place within Russian Orthodoxy, such demands could lead to the disintegration of the Muslim Spiritual Directorate (MSD) system, something that almost certainly would reduce still further the Russian state’s relatively tenuous hold on the growing Muslim community there.